The kitchen sink... 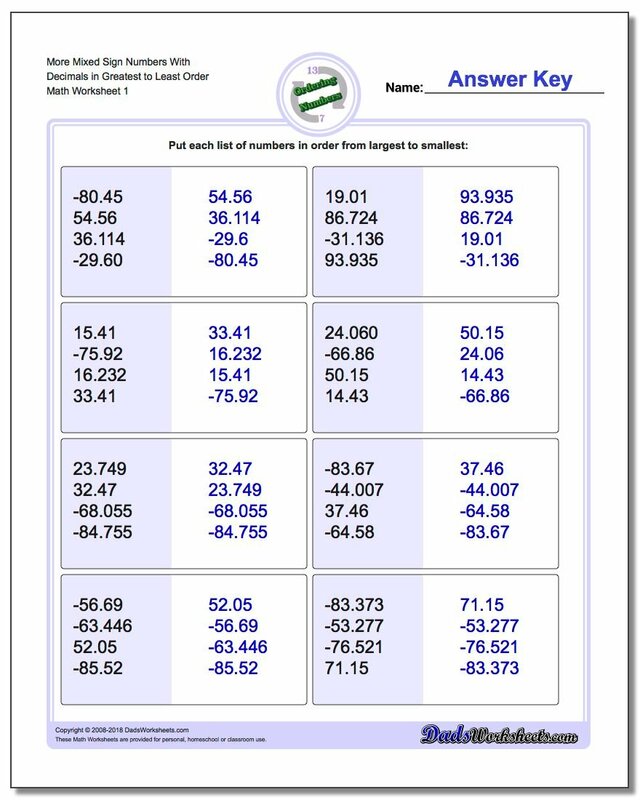 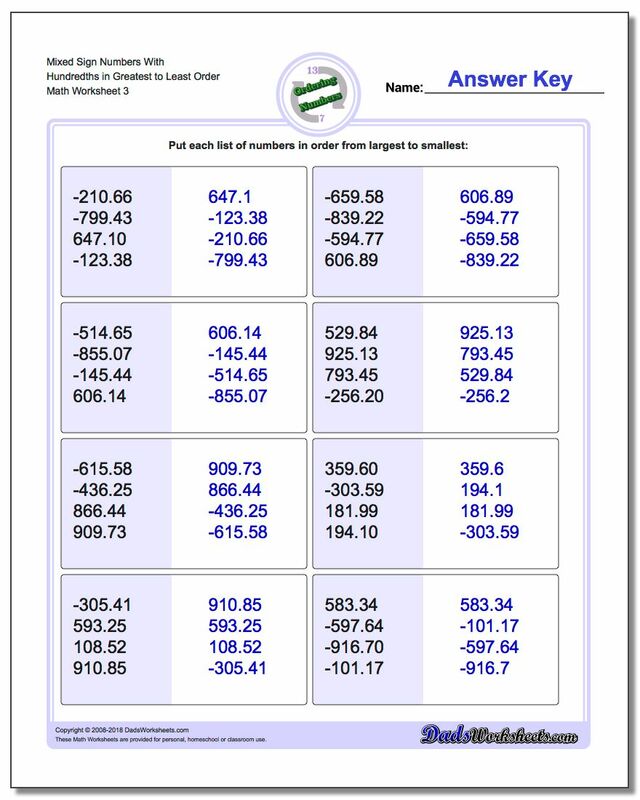 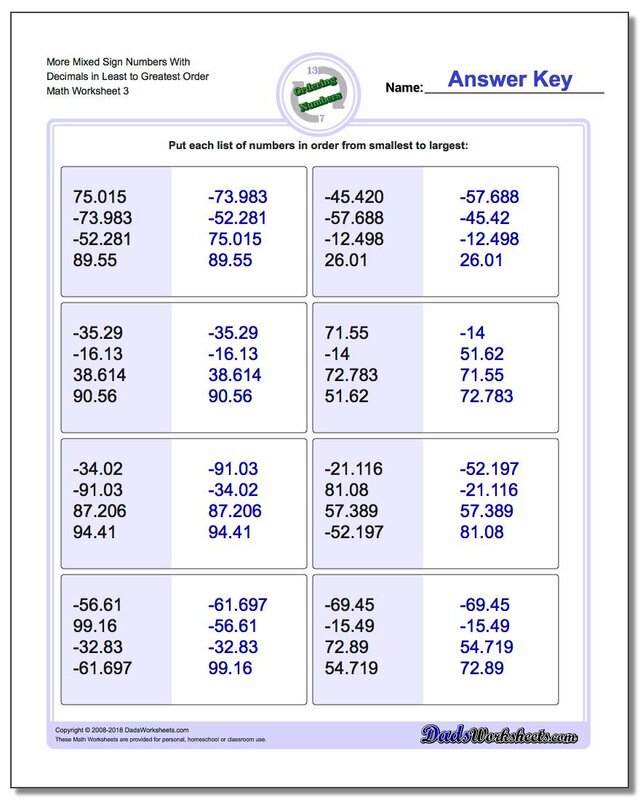 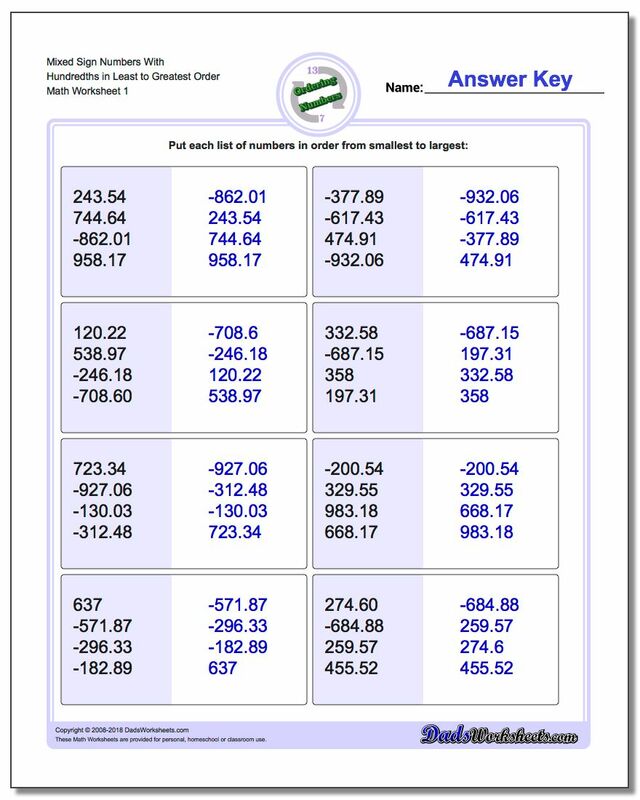 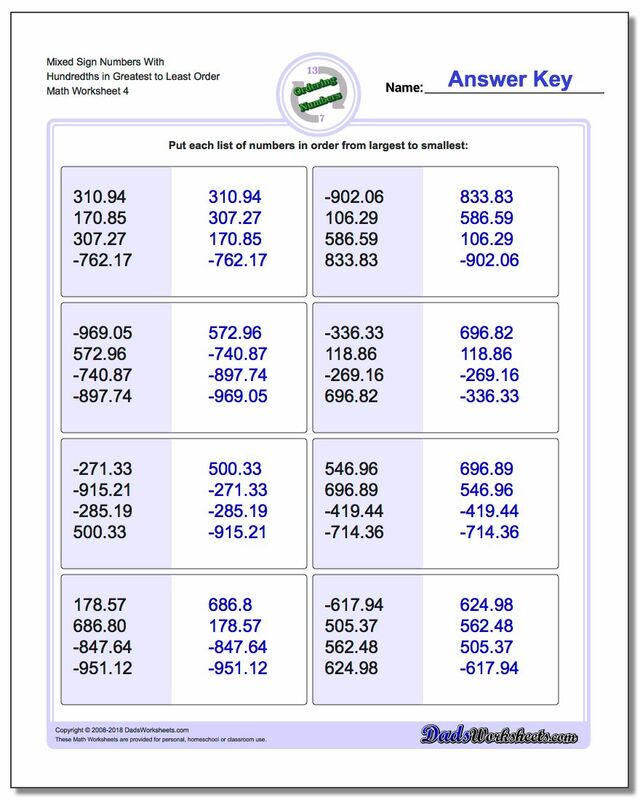 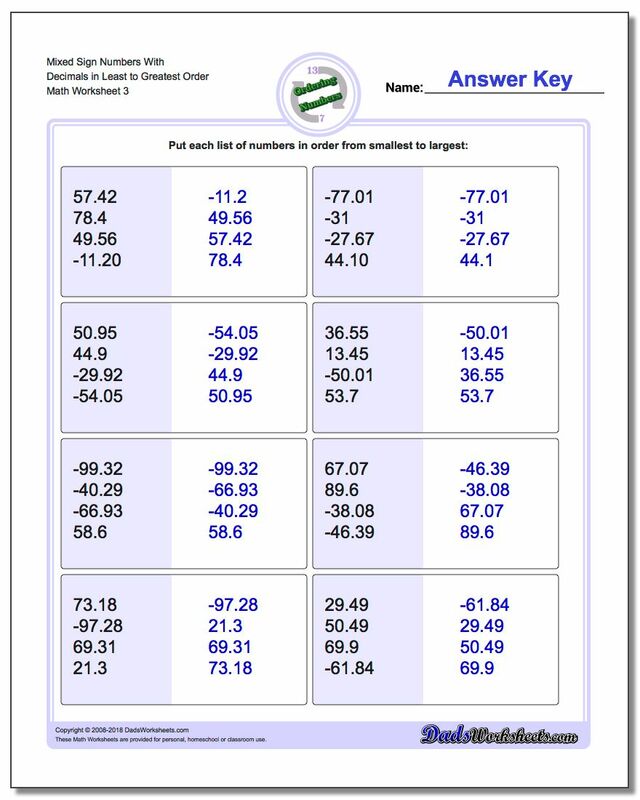 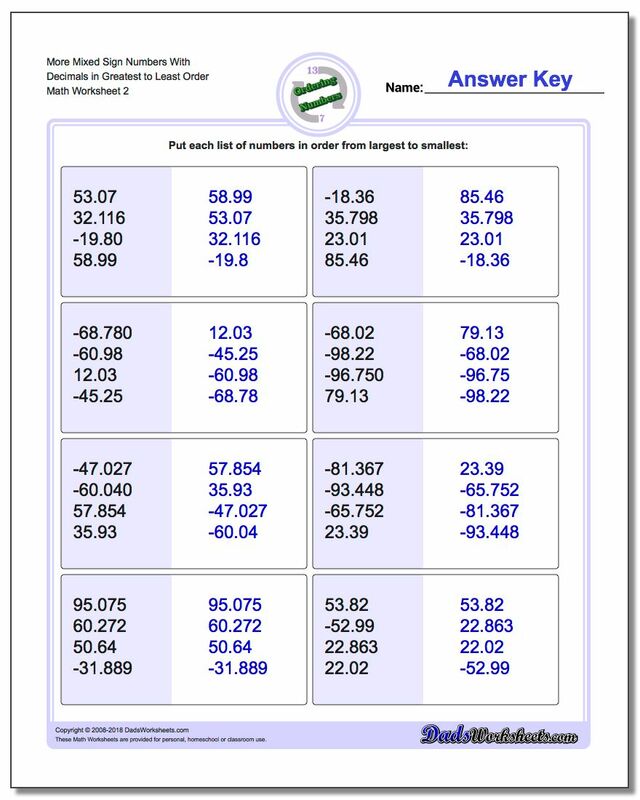 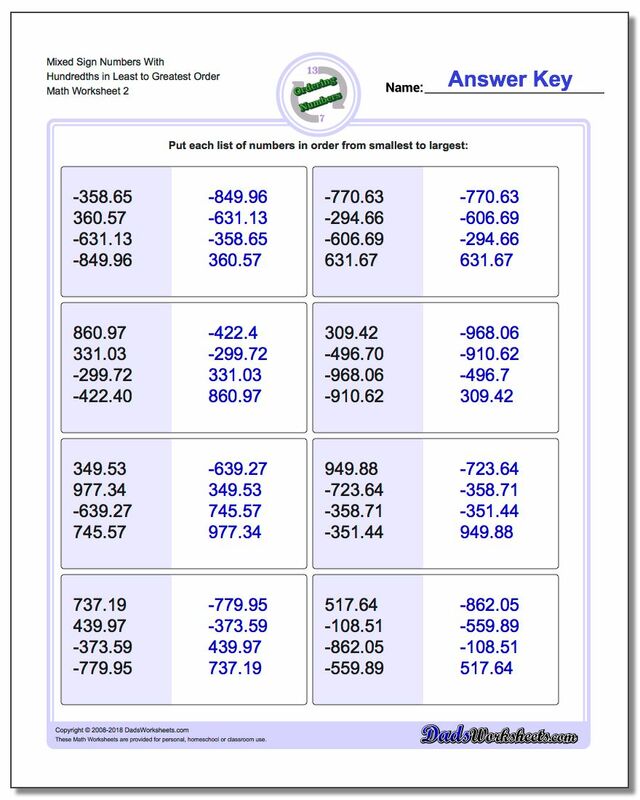 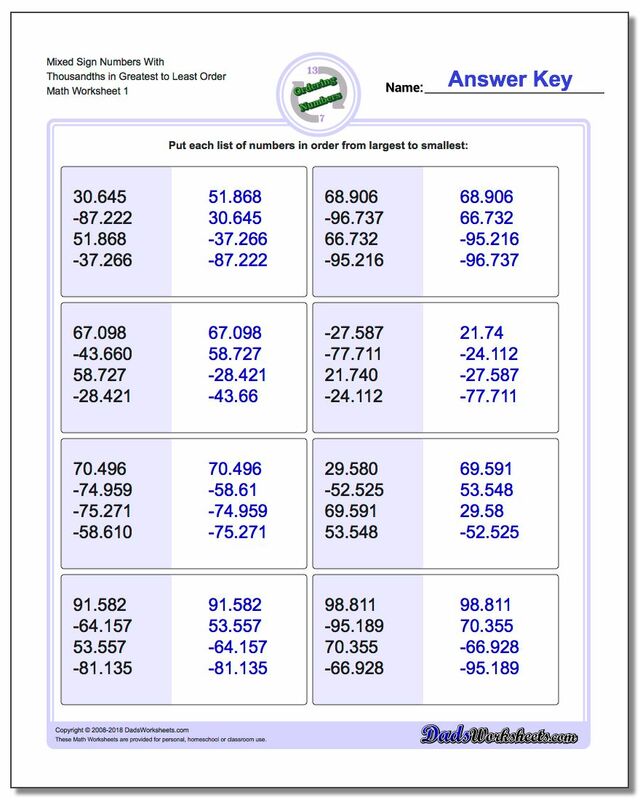 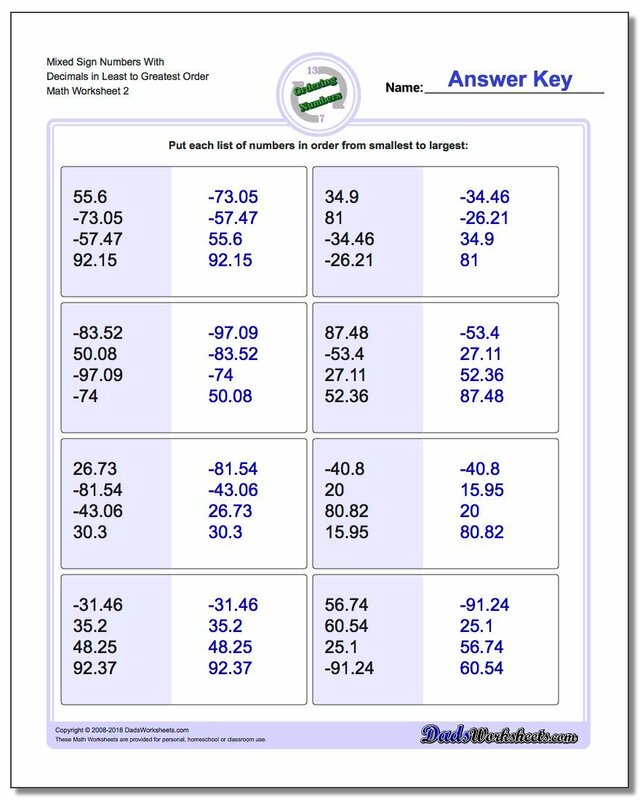 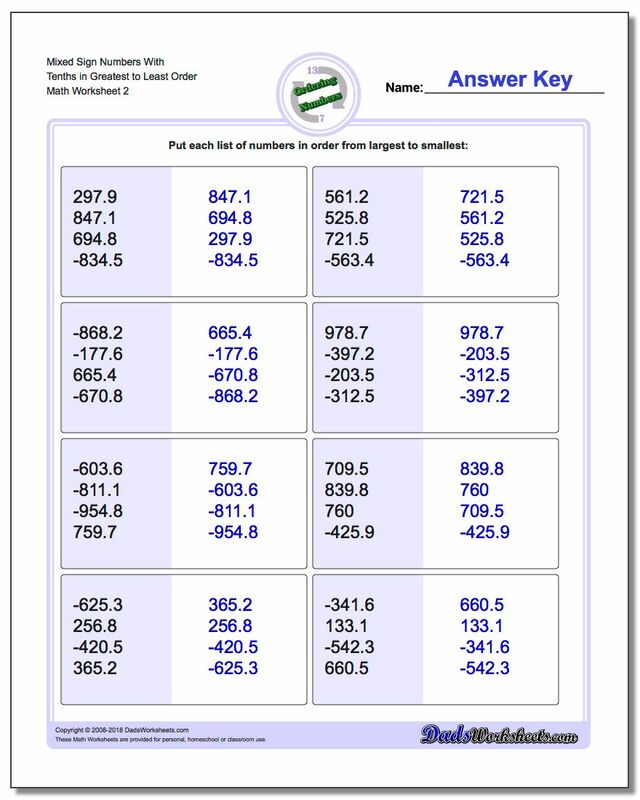 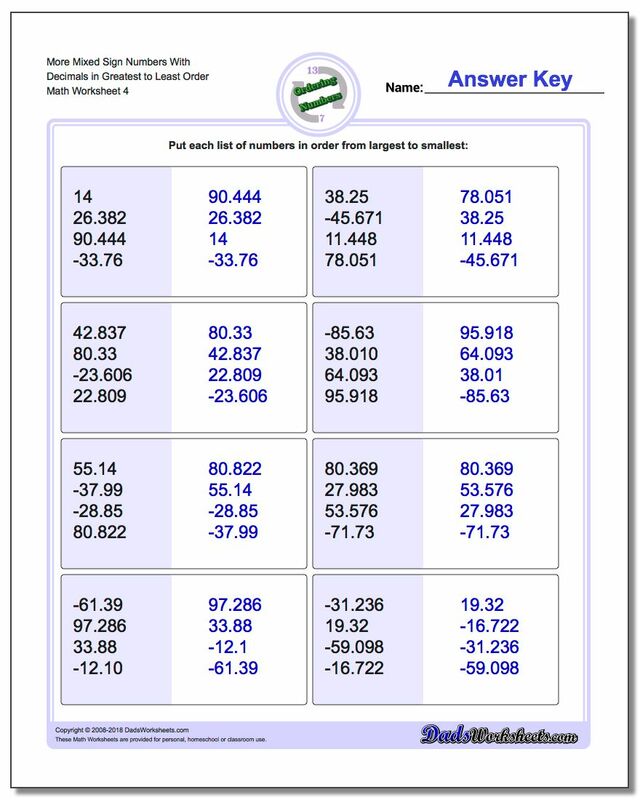 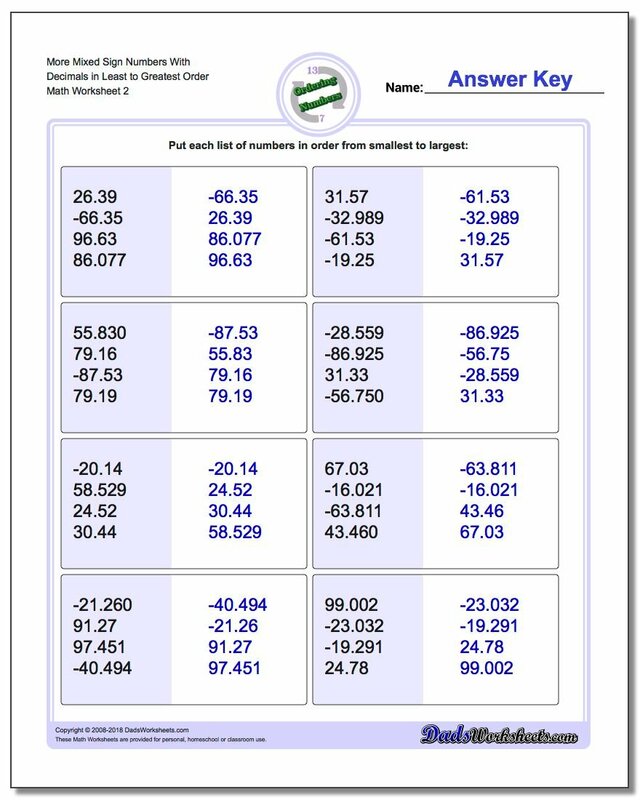 Ordering decimal numbers worksheets where students order sets of both positive and negative decimal numbers, with same or different place values. This is the pinnacle of complexity for odering numbers worksheets... 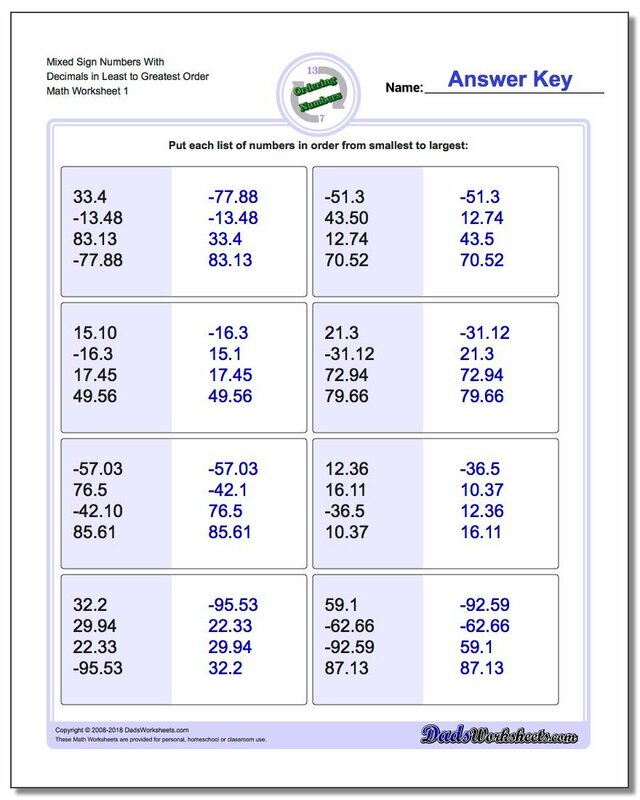 This mix of positive and negative numbers with decimals will test every assumption a student might make when trying to determine if a number is greater than or less than it's neighbor. 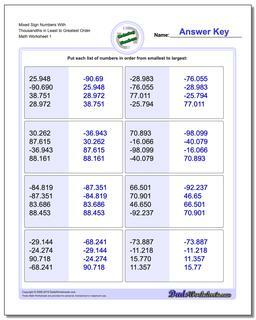 Negative numbers can be a challenge to order because their larger values (or longer strings of digits) might make them appear to be greater than a positive number with fewer digits. This common issue is only compounded when you introduce numbers to the right of decimal place, at which point it becomes clear that the value of a number has nothing at all to do with how many digits are shown. 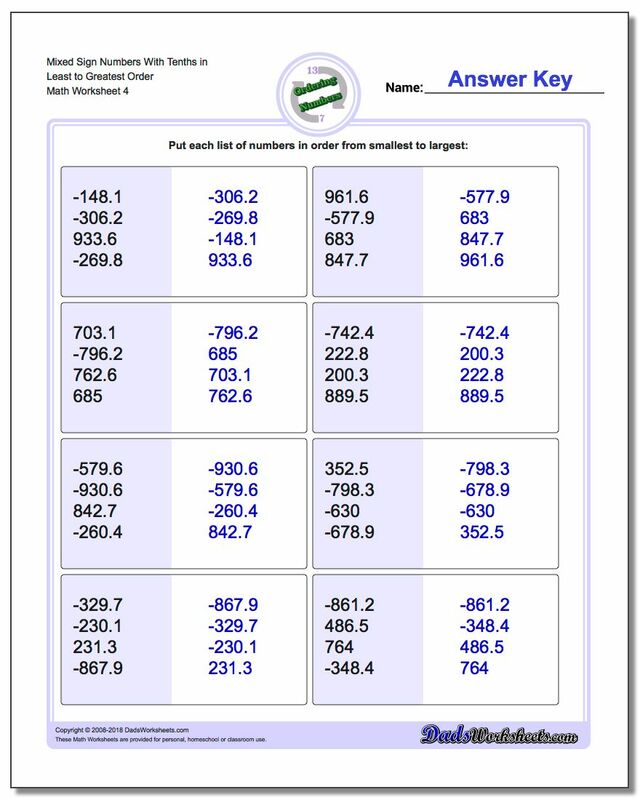 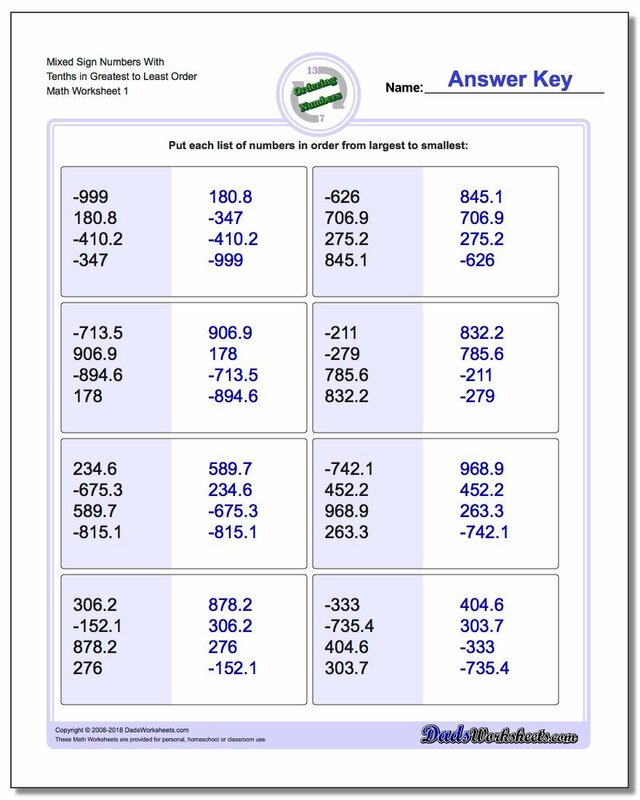 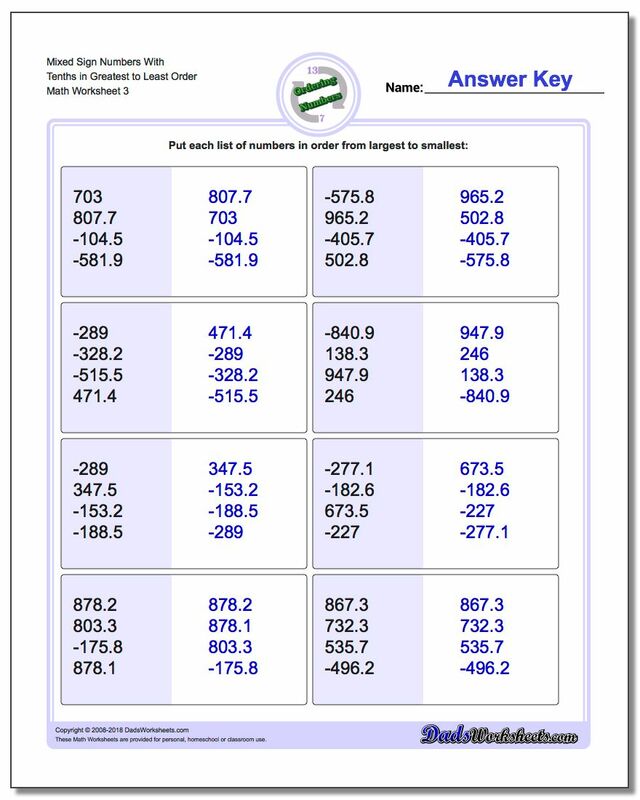 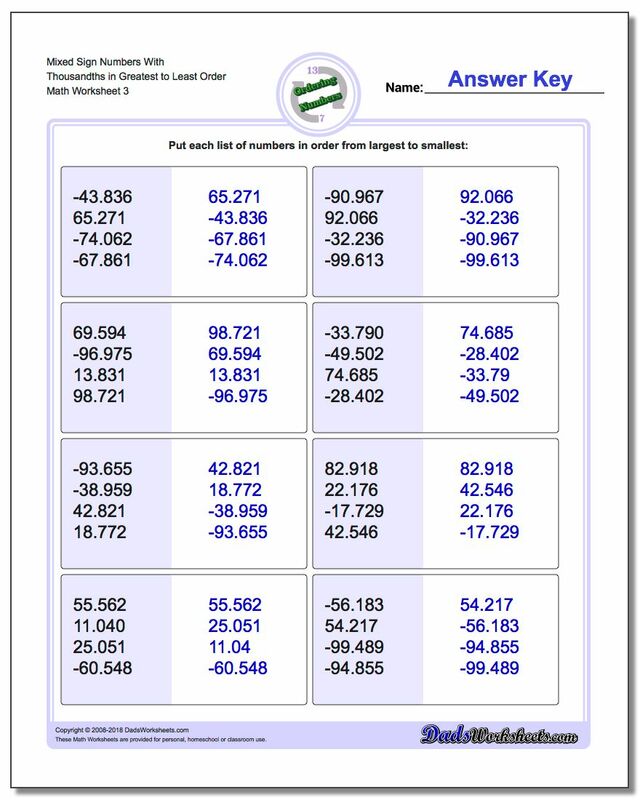 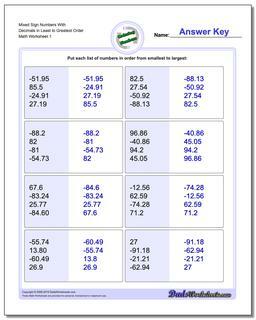 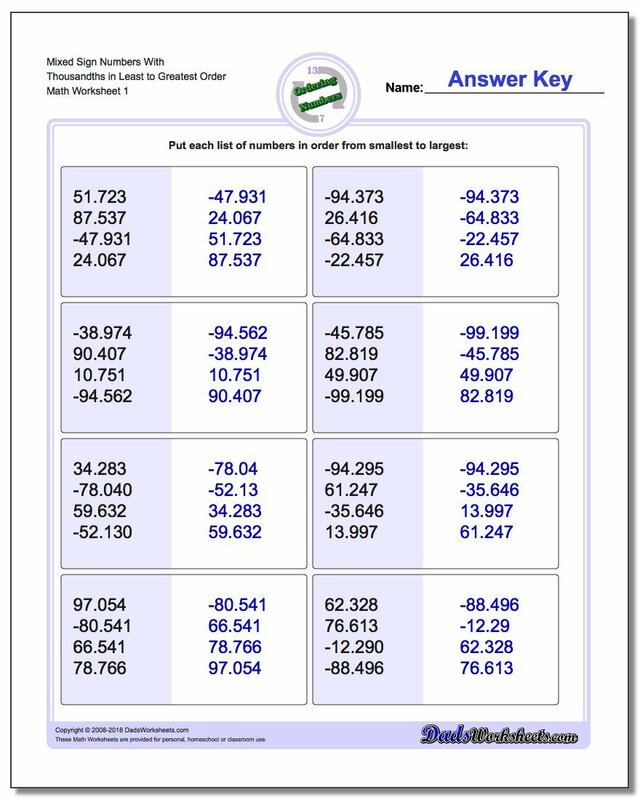 These positive and negative decimal ordering worksheets will challenge both of these assumptions and insure that your students have a very accurate understanding of place value, magnitude, positive versus negative and overal number sense.